First place winners, Scott Falbo (second from left) and Karl Newell (fourth from right) with competition judges. The winners were chosen from 33 entries and more than 125 participants. 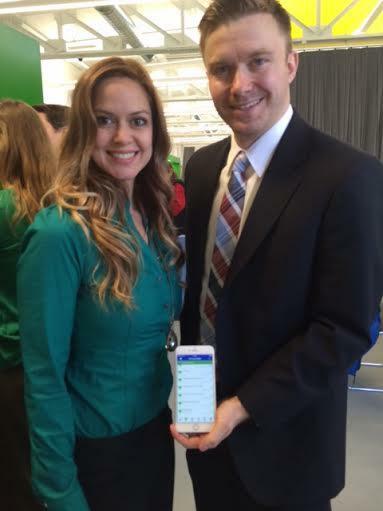 The first place prize of $10,000 was awarded to the makers of “WNY Family Connection.” The app was created by Scott Falbo and Karl Newell. It allows caretakers to find local schools and childcare programs, check on violations, and see how the institutions have been rated based on a four star system. The mobile app also allows people to write their own reviews. Falbo says he believes it puts crucial information directly into user’s hand. want to make the best decision possible and sometimes you don’t have all the information available. So, I think providing this information to the community is very powerful,” said Falbo. The second place winners were awarded $5,000 for the “NY Thruway Guide.” The app was created by, Dan Wheeler, Shana Marcy, Sarah Marcy, and Amber Marcy. Shana Marcy says it assists motorists traveling along the state thruway system by providing information on nearby restaurants, rest stops, and cameras. “Knowing what is nearby, what traffic alerts are up, whether it’s construction or accidents. Knowing that is just so helpful when you’re traveling, especially with the weather,” said Marcy. Second place winners Shana Marcy and Dan Wheeler. The third place winners walked away with $3,000 for their app called “Rentegrity.” The mobile app was created by Eileen Ruberto, Sarah Quintal, and Tim Nabzdyk. 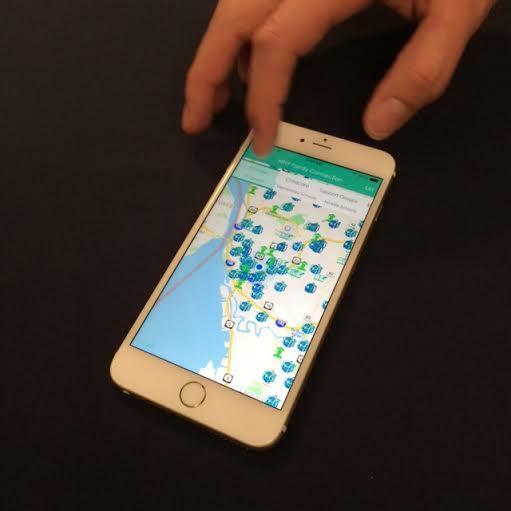 The map based app helps renters find information about local properties. It also makes it easy to identify places of interest and learn if a landlord is local and if there have been any recent 911 complaints to the unit. 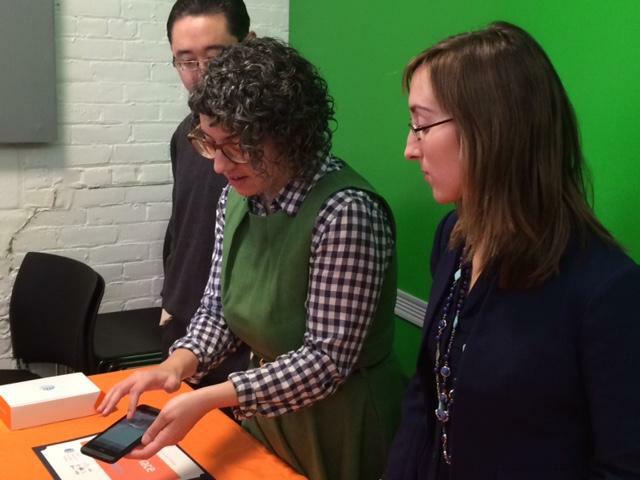 The competition was judged by a panel of tech experts, area politicians, and community stakeholders. President and CEO of Launch NY Marnie LaVigne says it showcased how mobile technology could lead to the next generation of tech jobs and investment. Third place winners Tim Nabzdyk (L), Eileen Ruberto (M), and Sarah Quinta (R). 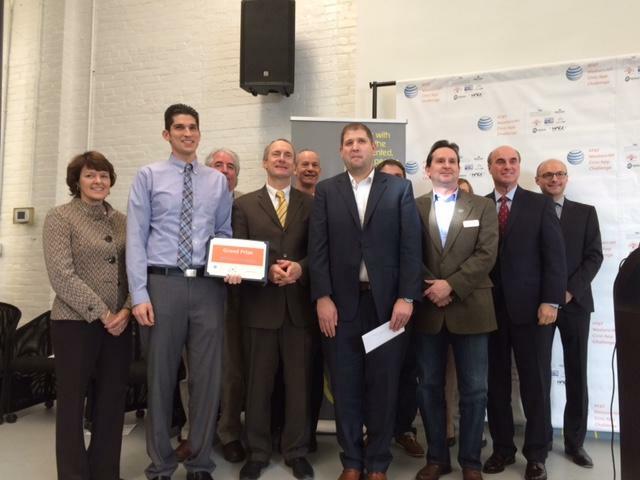 The challenge was a collaboration between AT&T, University at Buffalo, State University of New York at Fredonia, Z80 Labs, InfoTech Niagara, Launch NY, United Way of Buffalo &Erie County, d!g Buffalo and Hack Upstate.